310 Nutrition vs Shakeology - Which Brand Wins? You are here: Home / Blog / 310 Nutrition vs Shakeology – Which Brand Wins? 310 Nutrition and Shakeology are popular health brands, with many devoted customers. But, which should you use? In this post, we’re focusing on one narrow area – meal replacement shakes. For many, these shakes can be powerful for weight loss. They’re also easy to make and a good source of nutrients. So, when it comes to 310 Nutrition vs Shakeology, which is best? That’s what we’re here to find out. Don't want to wait? Skip straight to the final comparison! This creates a strong emphasis on health and wellness overall. Shakeology is different. As the name suggests, the brand only focuses on meal replacement shakes. That suggests greater expertise. Indeed, Shakeology is incredibly popular. But, there is more to consider. While Shakeology is just about shakes, the brand belongs to the company Beachbody. Like 310 Nutrition, Beachbody does focus on health in general. To do this, they offer many different products, services and systems, including coaching and support. The site Diet Spotlight offers some additional insight into what Beachbody provides. Beachbody also follows a MLM model, similar to companies like Avon and Amway. Under MLM, distributors earn money by selling the various products and services. This approach can lead to biased reviews and overpriced products. Of course, MLMs can produce good products and some do. Beachbody also has some advantages, including the coaching component. For some people, this type of support can make weight loss much easier. At the end of the day, the MLM style doesn’t mean that Shakeology is bad or unhealthy. But, it is something to be aware of. This also means you should be cautious of all Shakeology testimonials - as some will be misleading or inaccurate. For the most part, both brands get good reviews for the taste of their products. Reviews vary, as with any shake, simply because people have different preferences. So, either brand is a good option for taste. Nevertheless, having flavor variety is also important, especially if you're having shakes daily. For vanilla, there are two options – a whey protein shake and a plant-based one. This is the only whey flavor available, the others are all plant-based. The combination of flavors is appealing and the salted caramel and vanilla chai ones are especially unusual. It's also nice to see such a flavor range for vegan shakes. Shakeology offers two types of shakes, vegan and regular. The regular shakes include whey as one protein source, while the vegan shakes only use plant-based protein. The flavor selection is below. In total, there are 9 different products, although some of the flavors overlap. Both brands are powerful vegan options, with Shakeology having 4 vegan flavors and 310 Nutrition having 6. But, there are some areas where they differ. So, they're sugar free, soy free, gluten free and dairy free (with the exception of the whey shake). That's a pretty good balance - especially if you have dietary restrictions. In contrast, Shakeology doesn't have the same promises. The main reason is cross-contamination and the products are produced in a facility that processes soy, wheat and other allergens. This can make Shakeology less appealing. Nevertheless, the ingredients used don't include gluten or soy. So, if you're not extremely sensitive, the shakes may still be fine. The brands are mostly sold through their respective websites, or through distributors. In some cases, you can find them on Amazon as well, although this is rare. With 310 Nutrition, the retail price is $68 for a bag of the powder. This contains 28 servings and calculates to around $2.40 per serving. If you have a monthly recurring order, the price is $64.60/month (around $2.30 per serving). That discount isn't dramatic. But, it could help if you want the shakes regularly. There are also some bundles available on the site and on Amazon, which can be less expensive per serving. The main purchase options are to alternate flavors month-to-month (30 servings per month, 1 flavor) or to get multiple flavors each month (24 packets per month, 2 flavors). Regardless of your choice, the retail price is $129.95. This calculates to around $4.30/serving or $5.40/serving. This is much more expensive than 310 Nutrition and most other brands. In fact, many brands are $3 or less per serving and some are even lower than that. Still, there are some discounts available. The shakes are cheaper if you order on autoship and also if you sign up as a distributor. If you want to go with Shakeology - those options may be worth considering. Even so, you're still paying more with Shakeology. Each brand has many different shakes and those all have a different nutrient balance. For the sake of comparison, we’re going to focus on the two vanilla flavors from each brand. The largest difference between the brands has to be the sugar. While 310 Nutrition has 0 grams of sugar, Shakeology has 7 grams. This contributes to the higher calories and increased carb total as well. 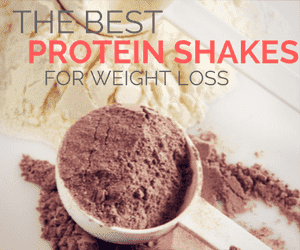 The shakes are fairly similar in protein and fiber. These areas help the shakes to be satisfying, so higher values are better. Shakeology is slightly better - but the difference isn't going to have any significant impact. For the whey versions, the overall pattern is similar. The whey Shakeology version is slightly lower in calories and higher in protein than their vegan option. But again, Shakeology is high in sugar and doesn't offer any major advantages. While Shakeology has more categories and marketing focus, both brands use similar ingredients. The individual components could help with health, especially the probiotics. But, they're not as revolutionary as the companies imply. Overall, 310 Nutrition is the clear winner. These shakes are better nutritionally and also have lower sugar content. This would make them much more powerful for weight loss. For Shakeology, the main advantages are the presence of more products (especially if you want non-vegan) and the Beachbody connection. If you're looking for weight loss support, Beachbody may be beneficial. But, like the shakes, Beachbody programs are expensive. Even so, the shakes aren't that impressive - particularly not for the price. Shakeology and 310 Nutrition are just two brands - out of countless options. The table below shows alternatives worth considering as well. Many of these offer better nutrition or are more cost-effective. You can also check out our recommended protein powders page for high-quality products. If you're new to using protein shakes, you can also check out the guide from Nerd Fitness.